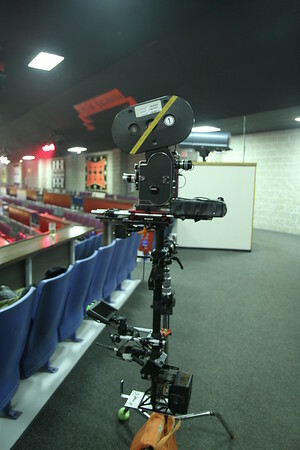 So I've been trying to figure out if it's possible to add a video tap to a Bolex, and I recently came across this image showing a Bolex on a Steadicam with a LCD incorporated. I was wondering if anyone could give an explanation or idea as to how they managed to do this. My theory is, they took a small external camera and positioned it in the viewfinder, then outsourced it to the LCD so they could get a pretty accurate idea of exactly what they were filming. I'm not sure if they struggled with any latency problems, but if this was the case that would be pretty clever.